We’ve all heard it. “There’s an app for that.” And they’re right! There is an app for almost everything. The ability to build an app, however, doesn’t make an app the best solution. In fact, for telemedicine, apps can actually present barriers to the connection that web-based tools don’t have. Where did apps come from anyway? Mobile apps were designed to make it simple for users to access the different features and hardware built into their mobile devices. A phone likely has a camera, storage, GPS, accelerometer, etc. Apps enabled users to tell the device to engage those hardware pieces in a specific way. As technology evolved, HTML 5 and Responsive Style Sheets made web browsers much more flexible. Now, browsers can utilize the hardware, and the look and feel of the page can adapt to the size of the screen that you’re using. A website might look different on your laptop than it does on your smartphone. We’re now able to build web pages to look like apps without the drawbacks and barriers that apps can present. Approximately 95% of all mobile apps are abandoned. 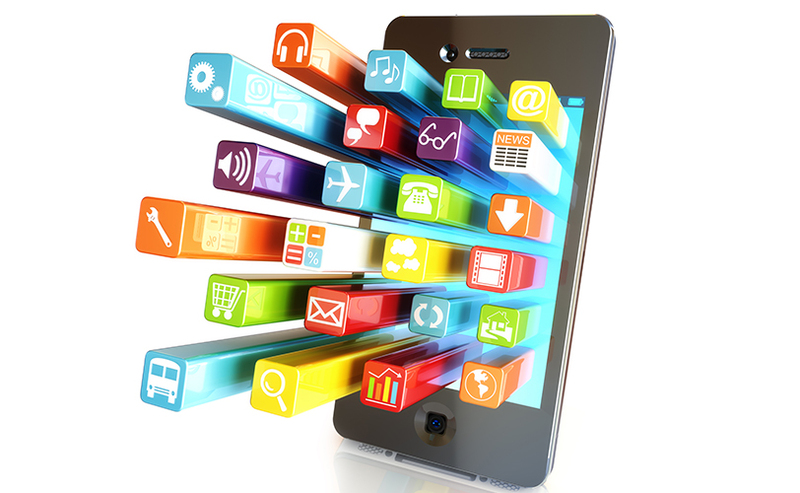 There are approximately 5 million apps on the market right now. That’s a lot of competition! Furthermore, most people only use a handful of the apps that they download regularly, and they’re not likely to search the app store for a new or exciting suite of medical tools. In many cases, users download apps outside of their trusted selection for one-time use. This is only if they download them at all. Alternatively, people do use search engines frequently, and according to The Pew Research Institute, more than 80 percent of Americans have searched the internet for medical information including locating doctors or hospitals that meet their needs. Your search engine listing will drive people directly to your website. 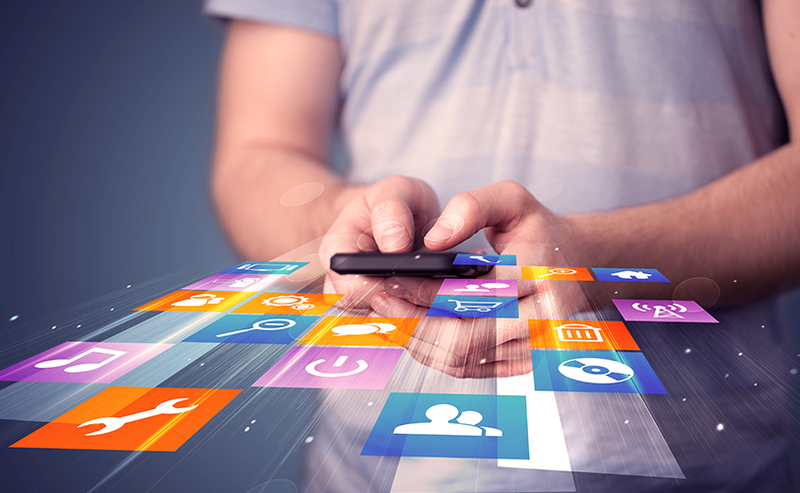 By using the mobile web to develop a site that delivers the interactivity of an app, you can provide a superior digital experience without requiring your users to download anything or sacrificing the flexibility to travel among devices. In the past, the software had to be purchased in a box every time it had to be updated. You took the disks home and manually installed each update. The Internet has removed the need to leave the house to get the updated software, but with apps, the update process is somewhat similar. Apps are stored locally on the device and need to be updated whenever a change is made. Not all apps update automatically. 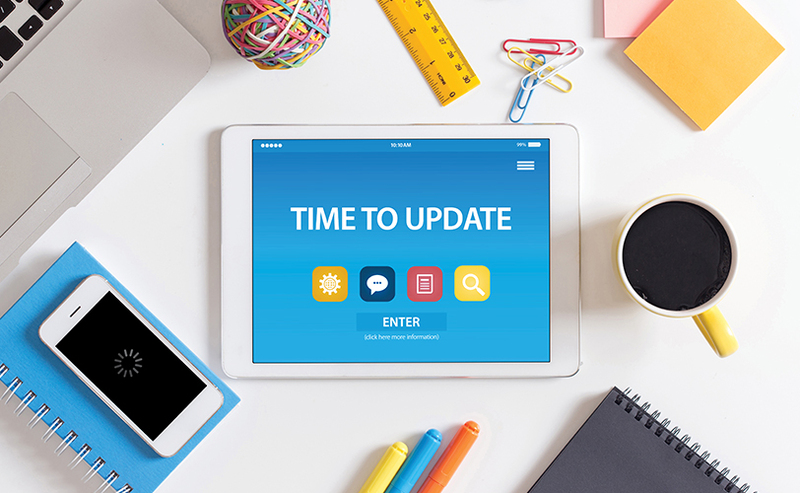 As for functionality changes, app updates can become a challenge for many users. Websites, alternatively, allow organizations to publish updates and instantly ‘put’ the latest version to work without any effort on the user’s part. There is no concern about what version of the software is running on devices, and there are no support requests due to outdated software. Consumers are running low on space and patience. Many mobile devices come with limited storage space, and the majority of people don’t pay for extra storage when it is available. The mobile operating system alone does not consume a considerable amount of storage space. Social media apps are the next most significant consumer. Devices also contain backups, and don’t forget locally stored pictures, videos, music and other personal content. Real estate on the device’s hard drive can be hard to come by, and the apps that are first to go are the ones that don’t get used regularly. App stores have two major barriers: passwords and credit cards. If you want to download an app, you need to remember your username and password for the store. 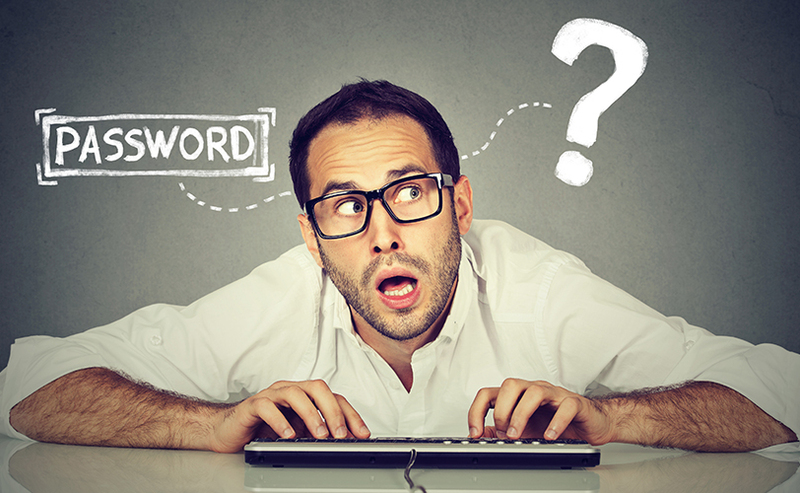 A study conducted by the University of Oxford showed that 25 percent of people forget one password a day, and about 20 percent of people abandon their task due to password reset issues. Recalling usernames and passwords is a huge barrier to participation, even for something as simple as downloading an app. Additionally, many app stores require that a credit card to be added even if the app can be downloaded for free. For users who don’t have a credit card on hand (or at all! ), this process significantly delays or outright discourages app downloads. By skipping the app store and using the web, you’re removing a significant barrier to scheduling, telehealth, and communication with your patient. Work on every device and in every browser. Mobile phones only represent one of the many types of portable devices currently available. By focusing on an app rather than a flexible, web-based tool, you are precluding users who may access your offering from Kindles, Macs, Windows machines, and more. Telehealth is designed to increase access to care, but apps actually manage to limit access to care by being device prohibitive. 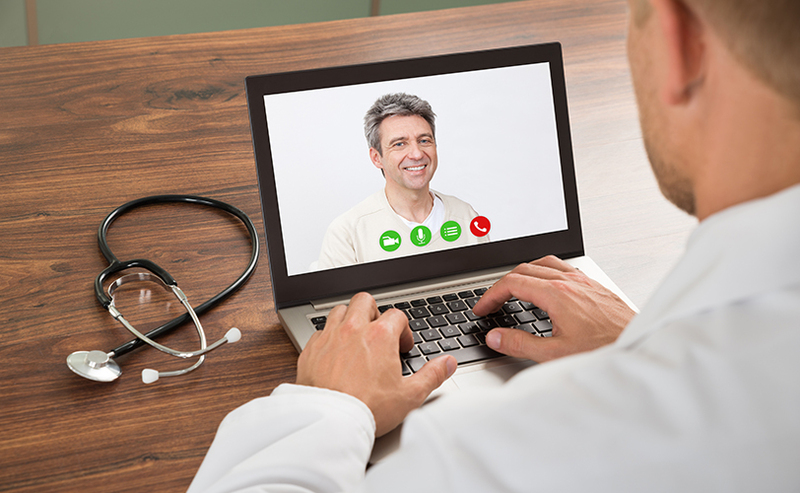 Sessions that take place through telehealth can range from a few minutes to several hours depending on the specialty and acuity. It isn’t practical to hold a phone up for an extended period of time. In fact, it becomes a distraction and causes discomfort. A platform has to be available for different device types to ensure the most comfortable experience for both the patient and the provider. Providers who need to connect and document simultaneously often find that using two different devices to do so interferes with the therapeutic relationship. A web-based platform enables providers to include the telehealth window on the same screen as their EMR and at the same time maintain consistent eye contact with the patient. 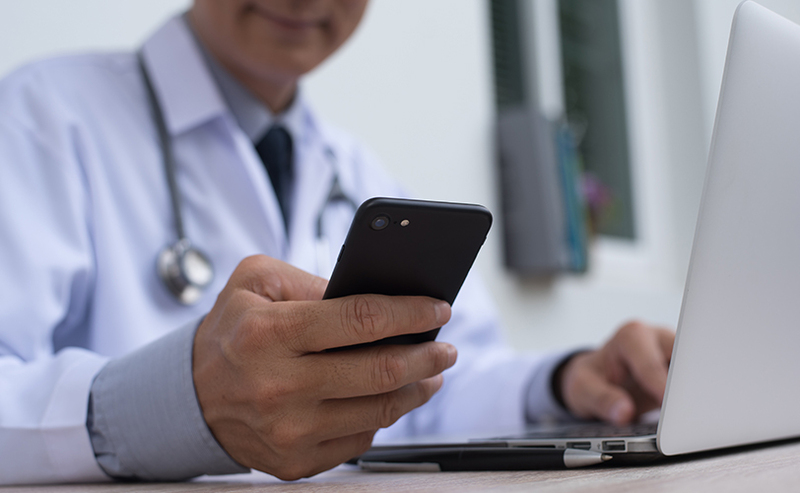 While mobile usage has grown considerably for telehealth visits, many users still use computers to connect. Portable machines allow users to more easily position the screen and complete the session without holding anything. While mobile usage has grown, computers remain a significant consideration. As operating systems and browsers continue to evolve, apps have become less essential to access a device’s hardware. Google’s latest operating system update has moved apps to the cloud rather than local storage. By the end of 2018, full access to the camera and microphone will be available through device browsers, and apps for telemedicine visits will no longer be necessary. Mobile access is critical to the long-term success of your healthcare organization. You can achieve all of your mobility goals (and more that you didn’t even consider) by looking at the web rather than an app.